One can wonder whether the four-part story The Time Meddler (individual episodes The Watcher, The Meddling Monk, A Battle of Wits, and Checkmate) counts as a historic story or a science-fiction story. Certainly, the setting is from Earth's past (Britain just before the arrival of William the Conqueror) but in this case, The Doctor (William Hartnell) and his Companions Vicki (Maureen O'Sullivan) and stowaway Steven Taylor (Peter Purves) aren't trying to influence history: they are trying to keep it as is. I think it should be the first ahistoric story: one where history is merely the background to a more science-fiction driven story. It is also unique in that The Time Meddler is the first Doctor Who story where we encounter a villain in the form of a fellow time traveler like The Doctor. The Doctor and Vicki are mourning the loss of Ian and Barbara, when Steven appears (along with Hi-Fi, his faithful teddy bear). The Doctor takes him on and they land in 1066 England, Northumbria to be exact. Steven doesn't believe they are in the past despite lots of evidence to the contrary. They soon split up, with the Doctor going inland while Vicki and Steven climb up the hill. 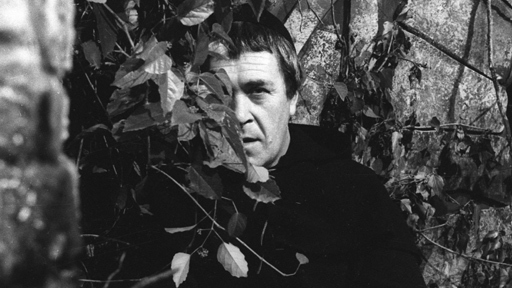 Unknown to them, a Monk (Peter Butterworth) has been watching, and he isn't puzzled by their appearance at all. The Doctor meets Edith (Alethea Charlton) who tells him where and when he is, but the Doctor is intrigued by the chanting coming from the nearby monastery, especially when the chanting carries a curious distortion, like a needle on a record going slightly off. He goes there, and the Monk traps him. Vicki and Steven, however, are trying to avoid capture by both the Saxons and a Viking scouting party. They also suspect the Monk knows where the Doctor is, and they sneak into the monastery to investigate. Both of them make the startling discovery that the Monk has a record player, but the Doctor is still missing. To make things curiouser and curiouser, the Monk has a Progress Chart detailing his activities, culminating with the Battle of Hastings, which has yet to occur. While searching for the Doctor, Vicki and Steven make one of the most truly shocking twists in Doctor Who: the Monk has a TARDIS of his own. The Doctor, independent of his Companions, realizes who the Monk is: a member of his own race who he calls a Time Meddler. The Monk has now decided to interfere with the course of history with an audacious plan: he will defeat the Viking invasion of Britain for King Harold so as to allow the Saxon king to defeat the other invasion force led by William the Conqueror, altering the entire course of British and more than likely, world history. Now it's up to The Doctor to stop The Monk from playing fast and loose with history as it will be. He is unwittingly aided by the Saxon villagers, who become suspicious of the Monk when he asks for beacon lights to be put just when they have confirmation of the Viking scouting party. The Saxons believe the Monk is a Viking spy and raid the monastery. The Monk manages to escape during the chaos of the raid while the Saxons go after the two Viking scouting party survivors, but when he returns to his TARDIS, he discovers that the Doctor has altered it in such a way that makes escape virtually impossible. The Time Meddler, especially Episode One, is far lighter than previous stories. Not since The Romans have we had a story that borders on comedy. This is evident when Steven is presented with a Viking helmet as proof that he is indeed in Earth's past. When Steven insists that it isn't authentic, the Doctor snaps back, "What do you think it is? A space helmet for a cow?" We also see the humor just from the villain. As performed by Butterworth, the Monk isn't evil. He doesn't want to change history for his own benefit or to cause harm. Rather, he involves himself in attempting to change the future because he thinks he is helping. The Monk doesn't wish to bring chaos. Rather, he believes that King Harold will be a good king, and thus he should be given a chance to reign. The Monk figures that without having to fight the Viking invasion, Harold can defeat the Normans and thus prevent a lot of further involvement in future European wars. In a sense, The Monk is almost innocent, oblivious to how changing the future may lead to worse results rather than better ones. His villainy if it can be called that, is for the most part a childish one. That makes the Monk an odd, almost endearing villain, but still a dangerous one nonetheless. It's Butterworth's performance that keeps a healthy balance between the child-like enthusiasm of his chicanery and the dangers he presents in holding The Doctor hostage. This Monk will not shrink from using force if need be to get at his aims (the Monk's laughter when he captures the Doctor is quite chilling), but by and large The Monk is a lighter, more humorous nemesis. As a side note: while he's earned the name The Meddling Monk (more than likely due to that being the title of Episode Two), he should be referred to as The Monk. This is how he is billed in all four parts, and while I've heard him called the Meddling Monk, he really is just The Monk, if one wants to be technical. Dennis Spooner's script should be given great credit because of its cleverness in both the overall plot and in creating an antagonist who is in a sense the Doctor's equal. It also gave us in Episode Three one of the most genuinely shocking moments in the First Doctor's tenure. In all previous stories, we really don't know exactly who the Doctor is (no pun intended). With The Time Meddler, the mythos of Doctor Who has opened up: we now see that The Doctor has a group/species apart from Earthlings. In short, there are more like him. From this one point, the world of Gallifrey and of the Time Lords will emerge. It also created long before the genre of alternative history really took off. Nowadays, novels about what would have happened if the Nazis had conquered Britain or the Confederacy had won the Civil War are a dime a dozen, but in 1965 television such inventiveness wasn't easily found. It is a remarkably tight story, with an interesting premise and characters. In The Time Meddler, the Doctor now serves less as activator of events than as preserver of them. The one point in Spooner's script which I though was a touch weak was in how the Doctor (and later on, Vicki and Steven) managed to enter and exit the monastery at will: the whole "secret passage" deal isn't very clever or original. On the whole, however, this is a minor glitch in an overall clever and inventive story. Hartnell is at the top of his game in The Time Meddler. His best moments are in Episode One, where he delivers comedic lines in a style both humorous and almost harsh. This same episode also has one of the unintended humorous moments when Hartnell suffers one of his infamous "Billy Flubs". The Doctor is not interested in climbing a steep mountain. "...but I'm not a mountain goat and I prefer walking to any day..." an irritated Doctor tells Steven. The fact that O'Sullivan and Purves could continue without looking at least puzzled by this rather odd statement is a credit to their abilities as performers. 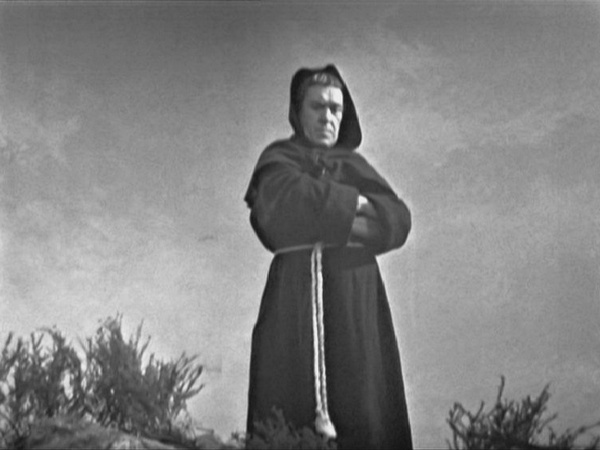 This for Hartnell in The Time Meddler is a rather small matter: throughout the story he is determined to stop the Monk from his plans. As cranky as he may be (not as much as reputation dictates) Hartnell shows a softer side with both Vicki and Edith, being kind and considerate to both of them. The curious thing about The Time Meddler in terms of acting is that Purves suffers the most. His Steven appears incredibly thick-headed, almost stupid in his refusal to admit that he is in the past. In fact, Steven in his debut story is a remarkably dumb and weak character: Vicki shows greater strength and courage when dealing with the Saxons and the Monk than Steven does. From his first appearance, stumbling out into the control room with his panda bear, to when they all leave for points unknown Steven as a character isn't standing out as heroic or clever. O'Sullivan is better as Vicki, tapering down her youthful exuberance from some of her previous stories and become a stronger person in her own right. A lot of credit should go to director Douglas Camfield, who kept the pace steady and did not build up the twist in Episode Three but let it build naturally. Aside from a battle between the Saxons and the Viking party in Episode Three that looked a bit comical (as if they really didn't want to fight but had to), Camfield created wonderful moments in The Time Meddler, drawing strong performances from Hartnell and Butterworth. The closing moments in The Time Meddler, where Vicki, Steven, and The Doctor are almost literally part of the galaxy as they each stare out into the vastness of space, going into the stars to new adventures, is an especially beautiful moment in both The Time Meddler and in Doctor Who the series. Here's where things get a little tricky. The next three succeeding stories: the four-part Galaxy Four, the one-off Mission to the Unknown (both the shortest Doctor Who story and the only story not to feature the cast), and the four-part The Myth Makers are incomplete to say the least. There is a six minute clip of Episode One of Galaxy Four (A Thousand Suns) and that's the longest known surviving footage of all three. * What few clips of The Myth Makers that exist at all are due to off-air recordings made by fans, and Mission to the Unknown is one of three stories to have no surviving footage whatsoever. Story 021, the epic twelve-part The Daleks' Master Plan, has three complete surviving episodes. The optimist therefore says that a quarter of the story survives. However, the episodes (Episode Two: Day of Armageddon, Episode Five: Counter Plot, and Episode Ten: Escape Switch) are so separated that one would have to fill in many of the plot points to try to make an honest evaluation of the story as a whole. Story 022, The Massacre of St. Bartholomew's Eve or just The Massacre, is unfortunately the third and mercifully last Doctor Who story of which no surviving footage whatsoever is known to exist. Therefore, the next complete story is Story 023, The Ark. As a side note, it is a terrible shame for television history that so many Doctor Who stories no longer exist. Some of them might have been quite good, and yes, some might have been awful, but we may never have the chance to see them. A lot people worked hard to create these stories, and their work is literally lost in time. Of course, this isn't to say there may not be a restoration in the future: Mission to the Unknown, being the shortest, seems the most likely candidate for an animated reconstruction. As it stands, we'll have to jump from Story 017 to Story 023, in which time we will lose one companion (Vicki, at the end of The Myth Makers) and gain another (Dodo Chapet, at the end of The Massacre). I have opted to take a side trip to the surviving episodes of The Daleks' Master Plan and give a review of those, but the next formal review will be for The Ark. 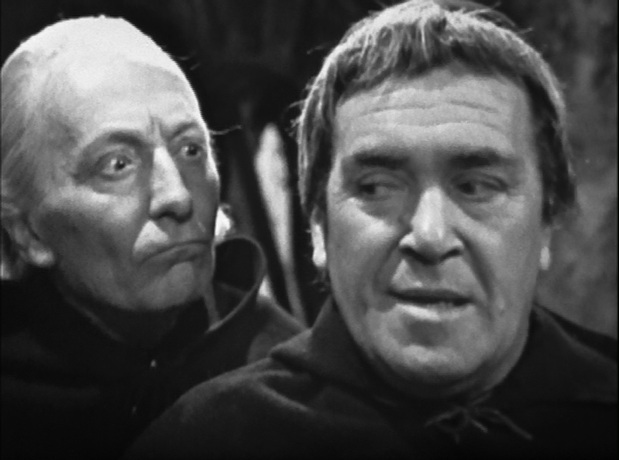 The Time Meddler is a clever, witty story, not as out-and-out comical as The Romans but certainly less serious than The Chase or The Dalek Invasion of Earth. It's not often one can say that the villain was delightful, but the Monk (or the Meddling Monk if you prefer) is both dangerous and endearing at once. There was strong directing both in terms of acting and visuals. In short, The Time Meddler is an answer to our prayers. *Since originally written Episode Three of Galaxy 4 (Airlock) has been rediscovered. Thus we now have a reconstructed version of this story and with that, a review of it.